The proposal by Km-ZERO to transform La Rambla has been put together with input from local residents and various organisations. The project entails a series of cultural, social and planning measures to make the avenue an iconic space again for citizens and one of the city’s identifying symbols. Winning back La Rambla, with city residents once again making it their own and local residents being able to enjoy it, requires a cross-cutting transformation which entails socio-economic policies and an urban revamp to diversify uses and improve mobility there. 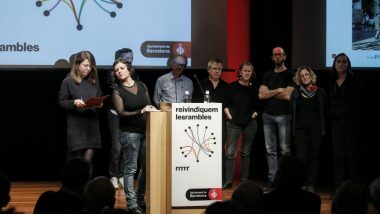 To this end, the transformation project headed by Km-ZERO, the team which won the public competition for La Rambla, sets out strategies to add social vitality and promote cultural and socio-economic measures to help shape the avenue. 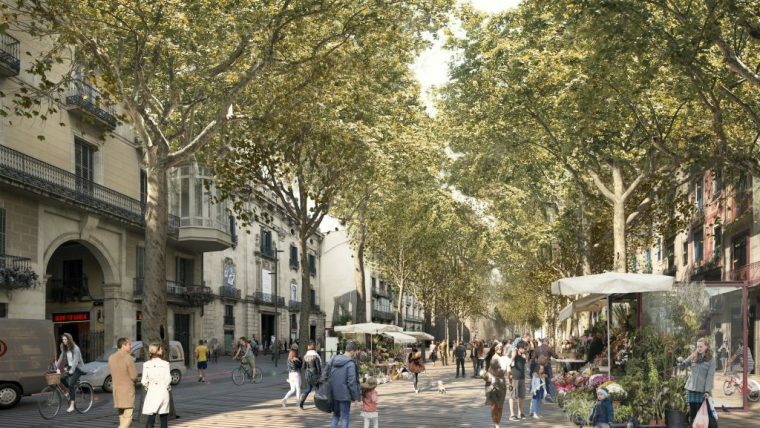 The work to be done takes a cross-cutting approach to diversify the uses of La Rambla and recover its iconic nature for the city. The work entails 53 measures, with a budget of 1.4 million euros divided into three main areas: culture, gentrification and tourism. 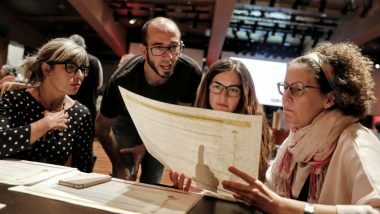 A plan for culture and facilities will be implemented to protect and promote the cultural, historical and landscape heritage of La Rambla, as well as fostering quality artistic creation there. In order to manage the pressure caused by tourism, the proposal is to diversify the uses of the avenue by regulating activity by tourist guides and setting aside specific spaces for them to stop. This should help make tourism compatible with uses of the avenue by locals. 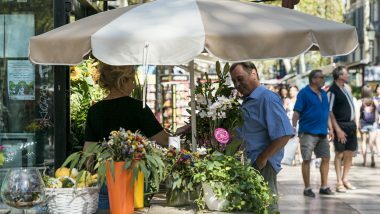 In addition, the transformation project for La Rambla plans to fight gentrification by promoting local commerce, diversifying economic activity to benefit local residents and implementing housing policies. 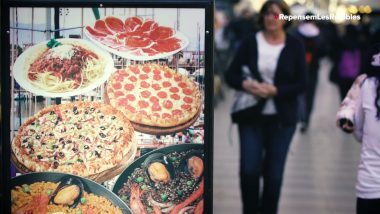 The physical revamp complements all the socio-economic and cultural measures by the project to regain La Rambla. The work is designed to make the avenue functional and practical, guaranteeing mobility on public transport and the different uses which local people wish to make of the space. 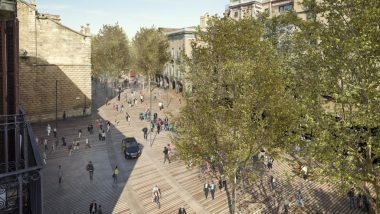 Pedestrians will therefore be the protagonists of the new Rambla, with wider pavements and new rest areas under the trees, as well as less space for vehicles, with just one traffic lane. Three notable spaces will be created, coinciding with the main points between the Gòtic and Raval neighbourhoods and next to important cultural facilities. The first will be point by the Palau Monja and the Palau de la Virreina; the second next to El Liceu and the third by the Teatre Principal. In addition, and with the idea of opening La Rambla up to the sea, a new area will be created by the old Drassanes shipyards with new rest areas and two green spaces. 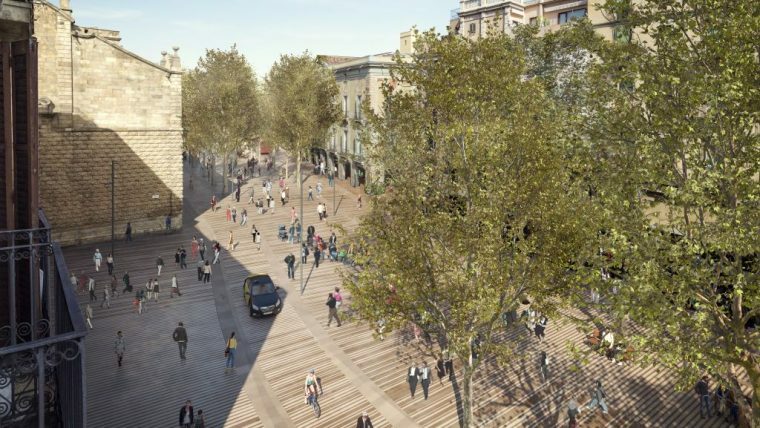 The whole project will be implemented in line with the indications set out in the special plan for La Rambla, improving accessibility along the whole avenue. News stalls and terraces will also be reorganised to rationalise the occupation of public space. 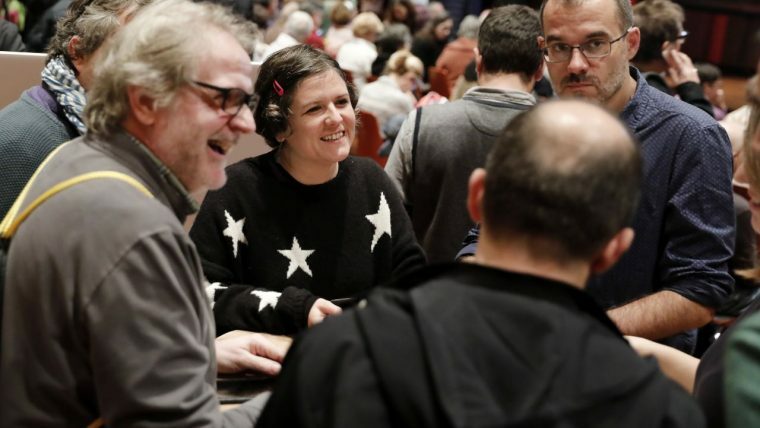 The work, which involves an investment of 35.6 million euros, will get under way at the end of 2019 or early in 2020, once the executive project has been drafted and the work tendered. The section nearest the sea (Colom – Santa Madrona) will be the starting point for the work, which will then progress up the avenue in the direction of the mountains. 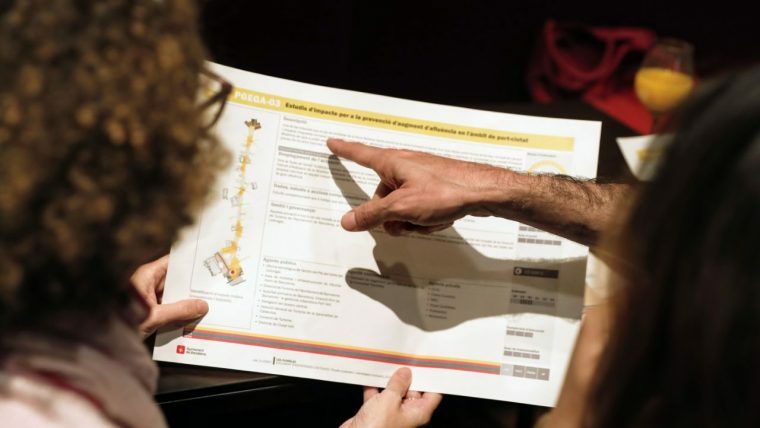 The project presented is the result of joint work between citizens, the administration and the technical team, which have been meeting for months to design a project which regains La Rambla as an avenue to stroll along and a place for community life. Four public cooperation groups were involved, representing organisations from different spheres and with different priorities. These groups worked on various aspects, such as movement, culture and facilities, community and public space and economy and work. The process started early in 2018 and is headed by the team Km-ZERO, which won the international competition run by Barcelona City Council to revitalise and remodel La Rambla.